Hypersensitivity to light (photophobia) is a symptom that can be evidence of many different diseases, not only ophthalmologies. Among the reasons for photophobia we distinguish diseases of the central nervous system. We talk about hypersensitivity of the eyes to light when the reaction to light is inadequate to its intensity. The physiology is that very intense light is hurting, that we feel discomfort when we move from total darkness to a well-lit room, etc. Hypersensitivity to light occurs when the symptom appears in a situation which in other people (and in health conditions) does not cause similar ailments. Fotophobia – a symptom of eye disease? glaucoma, retinal detachment, dry eye syndrome. Not only the sick eyes are hypersensitive to light – photophobia is also a typical reaction after dilating the pupils with artopin or tropicamide performed as part of the preparation for the ophthalmological examination (necessary eg for the assessment of fundus and retina). Hypersensitivity to light may be a symptom of diseases associated with the central nervous system. Photophobia, headache, nausea are symptoms of migraine aura (a set of conditions that predict the onset of a migraine attack) or epileptic seizure (before epileptic seizure). Photophobia also occurs during migraine headache. In addition, eye hypersensitivity to light is inscribed in the image of neuroinfections: meningitis and encephalitis. Eyes sore from the light is a common symptom accompanying headaches on a different background than migraine or neuroinfection and central nervous system tumors. Another serious cause of light sensitive eyes may be stroke and CNS bleeding, for example after cranial-brain injuries. Hypersensitivity of eyes to light – what does it mean? 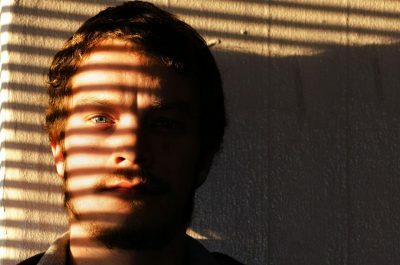 Hypersensitivity to light in children or adults is also observed in the case of tired eyes (eg after prolonged work in the dark or working at the computer) or weakening the body (photophobia with colds, infections). Hypersensitivity to light and aching eyes are accompanied by some infectious diseases – in addition to the aforementioned neuroinfections, it also appears, for example, in the course of influenza, trichinosis, rabies or measles. It may also be accompanied by high fever in the course of any disease. Photophobia also occurs in the course of ethyl alcohol poisoning and – very dangerous – intoxication with non-food alcohols (methanol poisoning can cause irreversible damage to the eye). Patients often complain of aching eyes from light – this may be a sign of vitamin deficiencies, eg vitamin B6. Another cause of photophobia is albinism, a genetically determined deficiency of pigment in the skin, hair and iris of the eye (or only in the iris of the eye). Light-embolism – what about hypersensitive, aching eyes? Photophobia (sore eyes sensitive to the sun) should not be underestimated. The course of diagnostics depends largely on the history of the patient – it is important in which circumstances hypersensitivity to light occurs and what other symptoms accompany it. In the treatment of photosensitive eyes (photophobia) the most important is causal behavior. The use of sunglasses during the exposure to light is relieved.